Not your average artist-run holiday party! 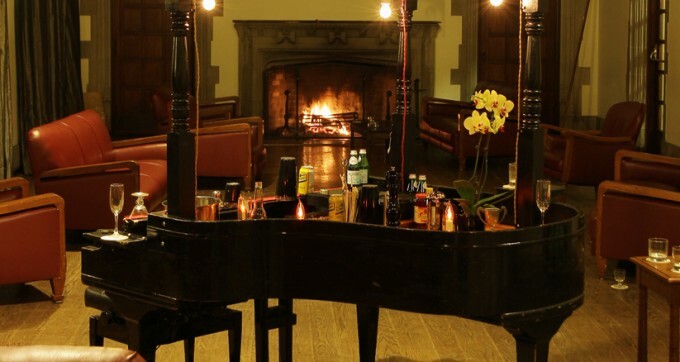 Dean Baldwin‘s Bar Piano, first conceived for Nuit Blanche 2012 at Hart House, specially commissioned by the Justina M. Barnicke Gallery, Toronto (2012). Recent projects include; Lime Eyes at Parisian Laundry in Montreal (2012); Oh Canada! at the MASS MoCA, Massachusetts (2012), Le Travail Qui Nous Attend (The 2011 Quebec Triennial) at the Musee D’art Contemporaine, Montreal, Bunk Bed City at Centre Clark, Montreal (2011); The Dork Porch at the AGO; Minibar at Space Studios, London, UK and Volta, Markhalle, Basel, Switzerland (2009); Sweet Dreams at the Justina M. Barnicke Gallery, Hart House, Toronto (2008); Exit Poll Cocktail Toll, at WhiteBox, NYC. In 2013 he will be the inaugural exchange artist in residence from the Darling Foundry in Mumbai, India. VSVSVS is an eight-person collective based out of a work-live warehouse in the portlands of Toronto, Ontario. Formed in 2010, VSVSVS engages in collaborative art making, hosts a residency program and formal exhibition space, supports the individual studio practices of its members. As a studio collective, VSVSVS pursues interdisciplinary approaches to installation, focusing on tactics of duration, context and engagement with the public. This work is complemented by the production of art multiples, drawing, video, and sculpture. DJ Josh Voynovich is founder of the record label Artificial Records. DJ Bridgette Sullivan is an elementary school teacher living in Parkdale.